Contracts are a part of everyone’s life. We sign them when we open new bank accounts, start a new job and even when we make a new account for an app. There’s another type of contract most of us have been on at least one side of — a lease. When we sign it we know what we’re agreeing to, because the terms and conditions are right there on the page. Any special conditions are set out separately often on another sheet of paper entirely. If we agree to them, we sign them. But what happens when it turns out that some of those special terms are a breach of tenancy laws? You might think that because you’ve both read the terms and discussed them where necessary that they’re binding, but that might not be the case. In March this year, a property management agency was successfully prosecuted in the Townsville magistrate’s court by the Residential Tenancies Authority. The court ruled that the special terms in their lease ‘placed an additional burden’ on the tenants, and had been put in place to ‘evade the obligations of the landlord or tenant’. The special terms? That the tenants were required to have their curtains and carpets professionally cleaned at the end of the tenancy. 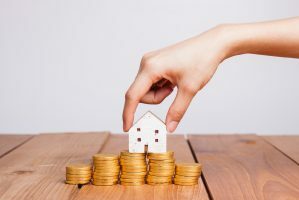 The court ruled that these clauses required the purchase of professional goods and services, which was in breach of the Residential Tenancies and Rooming Accommodation Act 2008 (RTRA Act). For these particular breaches, the property management group was fined $6000. 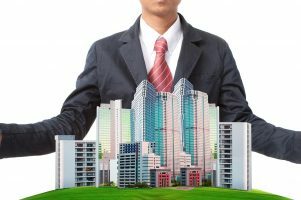 A person (the proposer) must not require another person (the prospective tenant) to agree to buy goods or services from the proposer or someone else as a condition of the prospective tenant being accepted as the tenant under an agreement. If your lease has a special term in it that you feel breaches the above clause, it needs to be amended sooner rather than later. As a tenant, contact your landlord or real estate office and let them know that your lease needs updating. 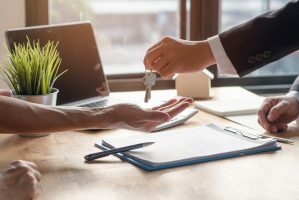 If you’re a property manager, you’ll need to update all of your documentation (including leases) to remove any special terms that might put you in breach. For any tenants on leases with such clauses, you’ll need to provide written notice that the offending clause no longer applies, effective immediately. What happens if the offending clauses aren’t changed? If the offending clauses aren’t removed from the lease or amended, you’ll be open to investigation and potential fines. There are penalties of up to $1200 for an agency or up to $250 for an individual. If you go to court to defend yourself and are found to be in the wrong, an agency can be fined up to $12000, and an individual for up to $2500. The best way to manage the condition of the property is a thorough condition report on entering and leaving the property. Tenants are expected to leave the property in the same condition they entered it, less reasonable wear and tear, meaning that household furnishings (such as curtains and carpets) only need to be ‘clean’. While you can provide information for further services (such as pest control or curtain cleaners), the tenant isn’t obligated to use them unless upon their entry condition report it was stipulated the carpets or curtains have been professionally cleaned. This ruling has the potential to impact leases around the country that require a receipt for carpet cleaning when the property is vacated. It’s quite likely that we’ll start to see new leases circulating in Queensland that explicitly permit tenants to shampoo or steam clean their own carpets on leaving the property instead of requiring a receipt. It’s also likely that other states will scrutinise their own rental terms to ensure renters are protected. For tenants around the country, it’s a huge change that will likely be welcomed with open arms.